Devvy Kidd’s recent article, 2019: The Year We the People Say No More was superb. If you missed it, make sure you read it because the number of Islamists elected to federal, state and local politics is a warning shot to American citizens. We are being overrun and few have taken notice. Sharia, or Islamic religious law, is a growing threat to the United States. The steady adoption of sharia’s tenets is a strategy Muslims are using to transform America into an Islamic state. Christianity, Judaism, Buddhism, Hinduism, and other lesser known religions do not mandate death for those who do not agree with their faith. 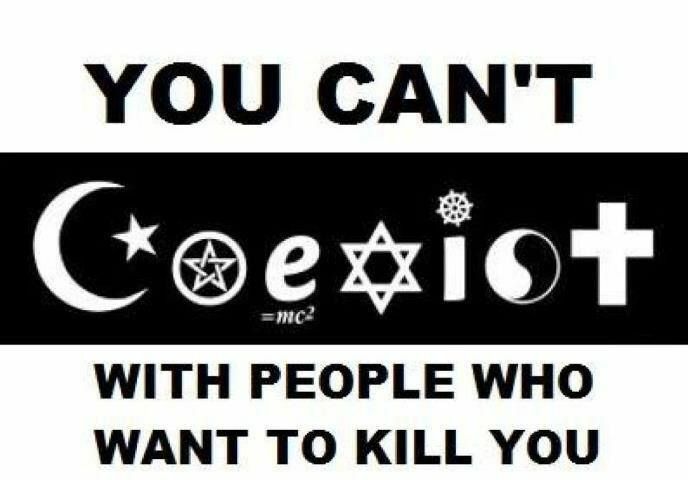 Only Islam kills the infidel. It dictates death by stoning, beheading, amputation of limbs, and flogging. Fourteen nations have the death penalty for homosexuals, and five of them carry it out. Nonie Darwish’s article,Sharia for Dummies, lays out the tenets of sharia which proves it is incompatible with the U.S. Constitution despite politicians and pundits like Texas Republican David Barton who believe it is. Dr. Bill Warner explains Islamic doctrine…Totalitarianism is found in the very name, Islam. Islam means submission, submission to the Koran and the Sunna of Mohammed. We see the basis for absolute power in Mohammed’s life. After he went to Medina, he became a jihadist and attacked his neighbors. When he arrived in Medina, it was half Jewish. In two years, there were no more Jews left in Medina. They were exiled, assassinated, enslaved and executed. Mohammed attacked the pagans of Arabia and the Jews. After Arabia submitted to Islam, Mohammed turned to Syria and attacked the Christians. 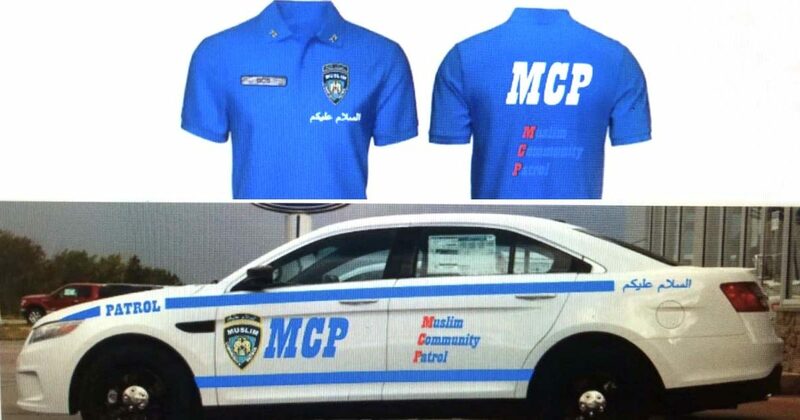 Fifty years ago, we would have said this is impossible, but today in Brooklyn, New York, we now have Muslim sharia patrol cars that are nearly identical to New York City Police Department cruisers, and these sharia patrol cars are actually allowed to cruise the streets of New York City. Islam is not just a religion, it is a complete civilization with a detailed political system, religion, and legal code – the sharia. Jihad is political action with a religious motivation, and sharia law is the political implementation of the Islamic civilization. Under sharia there is no freedom of religion, of speech, of thought, of artistic expression, of the press, of equality of peoples, of equal rights for women, of different classes of people…there is one set of laws for Muslim males and different laws for women and non-Muslims. Women can be beaten, murdered and sexually mutilated. A non-Muslim cannot bear arms. jahiliyah” target=”_blank”>There is no democracy…our Constitution is a man-made document of ignorance, that must submit to sharia. Non-Muslims are dhimmis, third class citizens. All governments must be ruled by sharia law, and unlike common law, sharia is not interpretive, nor can it be changed. There exists no Golden Rule. Here are just a few examples of sharia at work in American society as told by Dr. Bill Warner in his book, Sharia Law for Non-Muslims. The majority of democrats support prayer spaces for Muslims, but not for Christians or Jews. When schools and employers are asked to give up a room for Islamic prayer, that is asking us to implement sharia law. When a Muslim wears a head scarf, that is in obedience to sharia law. When our newspapers would not publish the Danish Mohammed cartoons, our newspapers were submitting to the demands of sharia law. When demands are made for our hospitals to treat Muslim women in special ways, that is sharia. When Muslim men cannot be touched by female nurses, that is sharia law. When our textbooks have to be vetted by Muslim organizations prior to being used in our schools, that is in accordance with sharia law. When foot baths are demanded in colleges, universities and airports, that’s sharia law, and taxpayers fund it. Six Muslim Airforce airmen can now wear beards thanks to a recently granted religious accommodation waiver. That is sharia law. 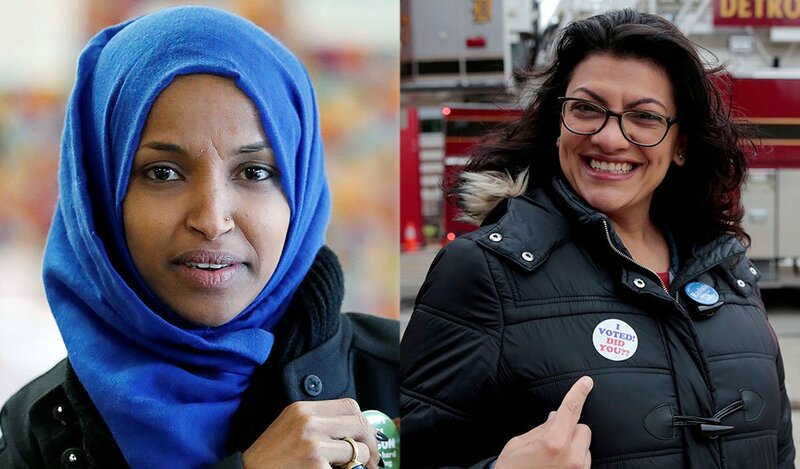 The 2018 midterms elected two Muslim women to Congress — Ilhan Omar of Minnesota and Rashida Tlaib of Michigan. Since they both wear the traditional hijab, Nancy Pelosi will move to repeal 180-year rule prohibiting head coverings on the floor of Congress. Some suggested that all the women in Congress wear the hijab in solidarity with their new Muslim colleagues, making America an Islamic Republic. Representative Ilhan Omar, the Somali Muslim from Minneapolis who replaces Keith Ellison, has already reversed her position on the BDS (Boycott, Divest, Sanction) Movement that seeks to delegitimize Israel now that she is safely elected. Since she has cited no reasons for changing her mind, she must have been lying. Deception is part of Islam. Allah is a deceiver. Mohammed was a deceiver, and therefore, every Muslim can be a deceiver. This is Taqiyya or sacred deception” target=”_blank”>Taqiyya. 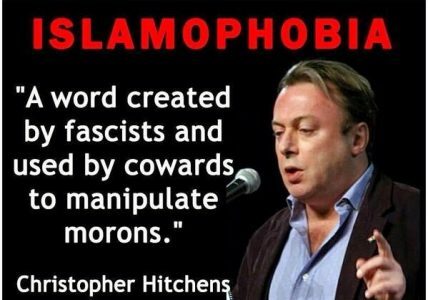 So, the next time you’re hearing something about Islam that just doesn’t sound right, and it comes from the mouth of a Muslim, you’re right. It’s not right. It’s a lie. It is Taqiyya. Newly elected Detroit congresswoman, Rashida Tlaib, used Thomas Jefferson’s two volume English translation of the Koran for her swearing-in ceremony, as did Ilhan Omar. Tlaib wore a Palestinian robe to show she is firmly in the anti-Israel camp. Rashida Tlaib, D-Islam who boasted in a a foul-mouthed tirade that the new Democratic House leadership will impeach ‘motherf***er’ Donald Trump doubled down on Twitter, refusing to apologize. This woman should immediately be impeached! These Democrat communist fools are playing into the hands of our destruction by embracing these barbaric savages, and our dumbed down electorate puts them in office over us. Robert Spencer’s article in Frontpage Magazine tells of a Christmas Eve Washington Times report about Muslims in Uganda forcing Christians to convert to Islam. Muslims now consider any public statement of the Christian Faith to be a calculated insult to Muslims, for which they can justifiably exact revenge. This is, or should be, sobering news for the comfortable Christians of the West who have made an idol out of “interfaith dialogue” and fastidiously avoid saying anything remotely critical about Islam, even as the Muslim persecution of Christians continues worldwide. Islamic anti-Semitism continues to manifest itself around the country and it is driven by Islamic migration. Authorities in Los Angeles have arrested a Somali Muslim man suspected of attempting to run down Orthodox Jews outside of a synagogue during the Sabbath. When he missed them a second time, the driver struck a traffic sign. He then exited the vehicle, started screaming obscenities and anti-Semitic curses. 2- Invent ancient Palestinian, Muslim and Arab histories in the land. The Palestinian Authority is now trying to turn Jesus into a Muslim Palestinian. The Council on American-Islamic Relations (CAIR) is announcing a lawsuit against the state of Texas for passing anti-BDS legislation last year. The BDS movement against Israel aims to strangle the Jewish state economically while at the same time calls for the flooding of Palestinians into Israel to destroy the Jewish character of the state. Muslim Linda Sarsour, one of the leaders of the Women’s March who called on a jihad against President Trump, openly supports violent plots against Jews. Nation of Islam leader. Louis Farrakhan has openly spewed venom against America’s Jews. Farrakhan leveled more vitriolic attacks against Jews when he spoke at a Chicago mosque last summer. A full list of her hate can be seen here. Lara Kollab has called for violence against Jews, spread anti-Semitism, trivialized the Holocaust, defended the terror organization Hamas and supported terrorists on Twitter. She has also compared Israel to Nazi Germany, spread anti-Semitic conspiracy theories and hatred of Israel, and accused Israel of exploiting the Holocaust. Kollab is a supporter of the BDS movement and a supporter of Students for Justice in Palestine (SJP). She is also is affiliated with Al Awda. This hate was allowed on Twitter for years. Six years later it has been expunged. In one of the most pathetic and destructive displays of virtue signaling, non-Muslim women are once again being urged to wear the garment of oppression, subjugation and misogyny. While women are fighting and dying for their most basic rights, especially those in Iran, left-wing morons are working to impose the misogyny of sharia. The woman who wears a hijab represents that she is fully committed to sharia and its political consequences. The hijab is a symbol that says to non-Muslims that they are kafirs (unbelievers, infidels). For 1400 years there’s been jihad against the kafirs…a history of annihilation, death and suffering. The bulk of the Koran is about the kafir and that they are to be destroyed. The Bush and Obama administrations embraced the Muslim Brotherhood, and HAMAS-CAIR. Some of these Muslims’ advocates have been issued top secret security clearances. 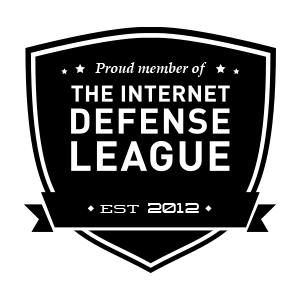 They have been privy to, and helped to write policy and training for many federal agencies. Purchase and read See Something, Say Nothing: A Homeland Security Officer Exposes the Government’s Submission to Jihad, by Philip Haney. Sharia is in every facet of American society, from politics to football, including Kaepernick’s kneeling during the Anthem. Islam is being taught in government schools while Judaism and Christianity are banned. The goal is an Islamic America and sharia is the pathway.